Floor tiles in Singapore are becoming increasingly popular. Residents are opting tiles over wood and other materials because of the advantages it offers. Tiles can be better looking, more durable and easier to maintain than other materials. Here, we look at some of the common floor tiles and their prices in Singapore. Homogeneous tiles, being dense, are the most robust tiles. They are unglazed and resistant to water. In commercial or residential places where the floors are used constantly, homogenous tiles are the preferred choice. The price of homogenous tiles may range from $2 to $4 per square feet in Singapore. But that is just an average estimate and the price depends mainly on the size, design and supplier. Some suppliers quote their price based on the total area and can be cheaper than others. 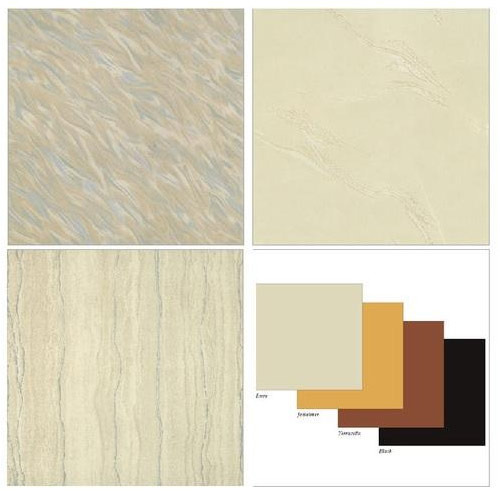 Ceramic tiles are the next preferred choice after homogenous tiles. These tiles are quite durable too and can be glazed or unglazed. Ceramic tiles have been around for as long as 4000 B.C. and were used by the Egyptians. Ceramic tiles require more maintenance than homogenous tiles. Ceramic tiles cost somewhere between $5 to $15 per square feet in Singapore. The prices can be higher depending on the design. Patterned tiles are more expensive than normal ones and can cost over $20 per square feet. Marble tiles look beautiful and add beauty and charm to the house. They are used for living rooms and bedrooms where the tiles are used moderately. In commercial and official business areas, marble tiles are a rare sight. They are very expensive and hard to maintain. The price of marble tiles can go as high as $14 per marble tile. However, it again depends on the quantity, design and the supplier. Intricately designed marble tiles can be an expensive affair. Some dealers offer the price based on the size of the room or area. Carpet tiles are mostly used in offices as a replacement for carpets. They look beautiful and offer a more sophisticated look than carpets. Carpet tiles are tough and endure a lot of pressure. That is why they are preferred over carpets, which are prone to wear and tear. The price of carpet tiles can range from anything between $7-$8 per square feet in Singapore. They are supplied in bulk and therefore the overall price is low.